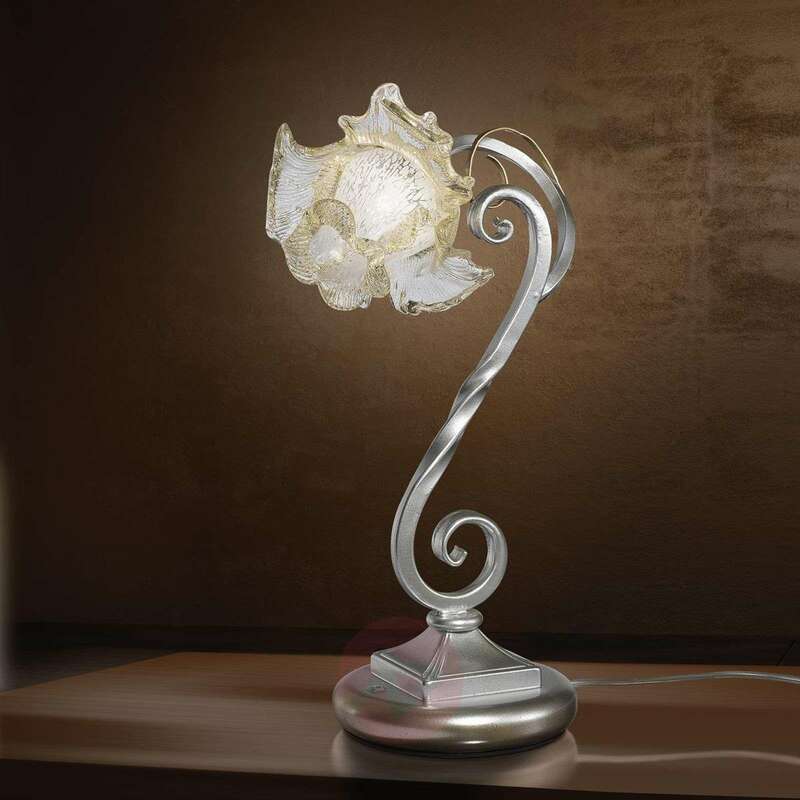 The elegant Rose table lamp is a designer piece that creates shimmering accents. The silver-coloured base is made from wrought iron and features filigree gold leaf décor that is reminiscent of the stem of a flower. The enchanting lampshade has been designed as the head of a rose. The artistic lampshade has been made from elegant white and gold Murano glass. The high-quality Italian light stands out thanks to the attention to detail and the meticulous craftsmanship. The Rose table lamp will enhance any stylish ambience with its silver and gold accents.